This is lovely. The Oratory, next to Liverpool Cathedral is normally only open for a few days during National Heritage Weekend which is coming up soon and is well worth a visit. 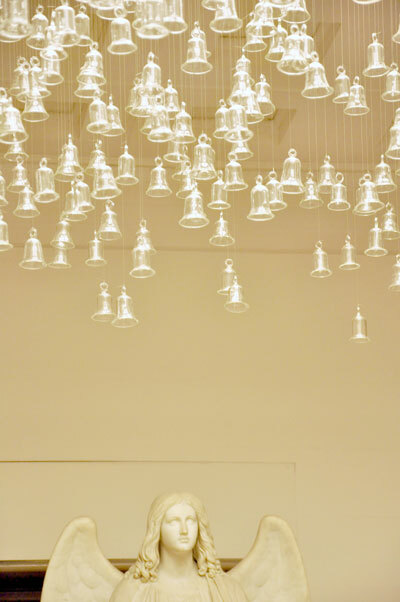 But this year it’s open up to and during the Biennial with the added attraction of this installation of 1,000 glass bells. Along with the soundpiece on 5.1 sound system it’s a nice contemplative work. An excellent early start to the 2010 Biennial! 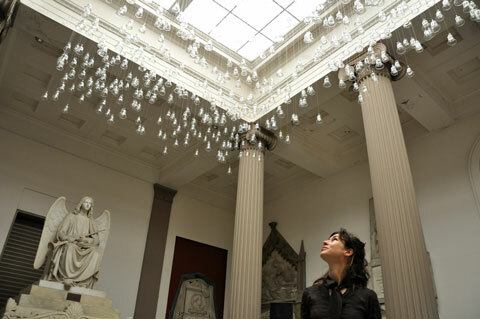 Brazillian artist Laura Belém’s beautiful new installation at National Museums Liverpool’s Oratory in St. James Cemetery is composed of a thousand glass bells and a polyphonic sound track creating a 3-D effect. 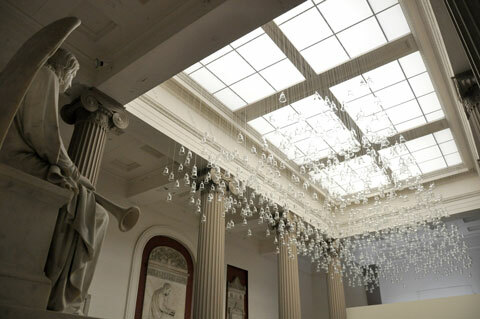 It is a new commission and trailblazer for Touched, Liverpool Biennial’s International 10 exhibition. 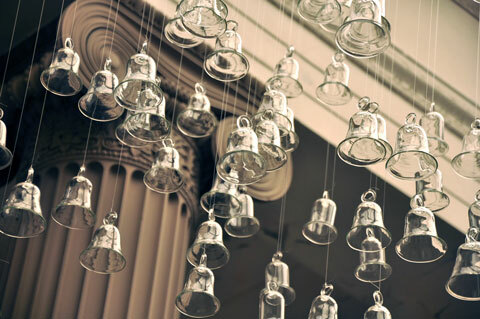 Sound will move between loudspeakers in the Grade I listed building, unveiling an ancient legend about a temple of a thousand bells that was built on an island. Over the centuries, the island sank into the ocean, and with it, the temple. As the story unfolds, it reveals the attempts of a sailor to hear the music of those bells. The narrative is interspersed by specially composed music and sound effects.